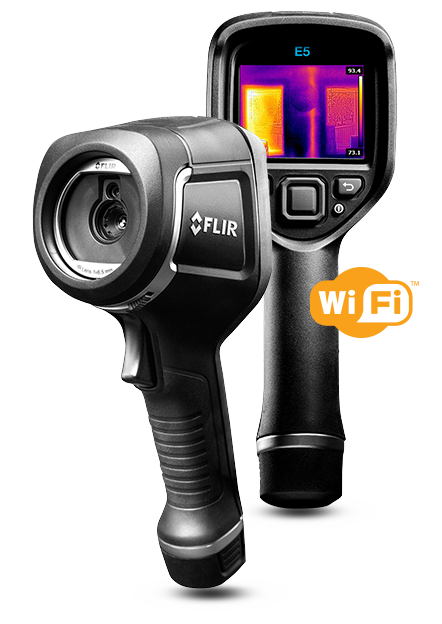 FLIR E4, E5, E6, and E8 infrared cameras are powerful and extremely cost-effective, easy-to-use troubleshooting tools for building, electrical, and mechanical applications. Four resolution options are available (ranging from 80 x 60 IR pixels to 320 x 240) to fit the target size, working distance, and detail you require. All include MSX® technology that provides extraordinary thermal imaging detail.